Swiss authorities have seized a Modigliani masterpiece in Geneva after CBC's the fifth estate investigated the painting's ownership in the wake of revelations from Panama Papers. Swiss authorities confirmed Monday they have seized a Modigliani masterpiece in Geneva in the wake of Panama Papers revelations first reported last week by the CBC's the fifth estate and global media partners as part of an international investigation into offshore tax havens. "A criminal procedure has been opened as a result of revelations tied to the Panama Papers with the goal of verifying the presence of a Modigliani in Geneva," Henri Della Casa, a spokesperson for the Swiss prosecutor's office, said Monday in an email statement. "I can confirm a Modigliani was seized over the weekend," he said. As the fifth estate reported last week, the Panama Papers reveal that the Nahmad family may be using a Panama-registered company to obscure its ownership of the painting at the centre of a high-stakes court battle. The Nahmads sit atop the art world as powerful international art dealers. They have galleries in New York and London, and their art collections are reported to be worth more than $3 billion US, according to Forbes magazine. 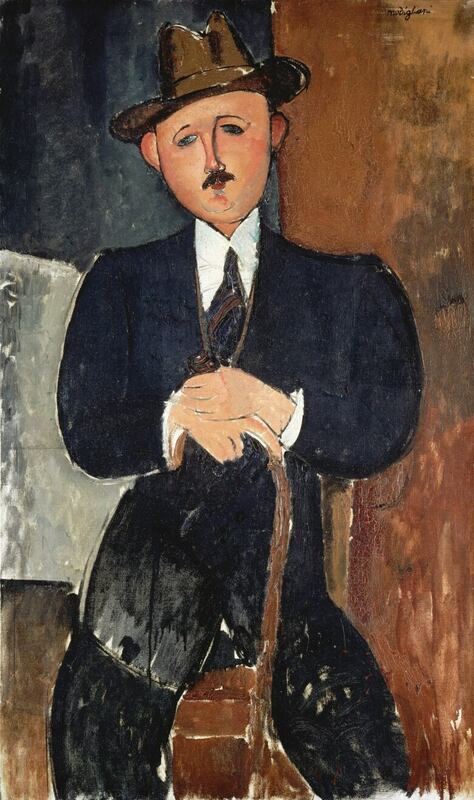 The documents about Modigliani's Seated Man with a Cane were revealed through a joint investigation by the International Consortium of Investigative Journalists (ICIJ), the Toronto Star and the fifth estate. The Nahmads had stored the painting in a warehouse in a free-trade zone known in Geneva as a free port where owners are not subject to import taxes or duties, nor are inventories and transactions monitored systematically. As the fifth estate reported in its documentary "The Mystery of the Masterpiece," the family of Jewish Parisian art dealer Oscar Stettiner claim the painting belonged to him and was looted by the Nazis when they occupied Paris. It turned up at an auction 50 years later and, after being purchased by a Panama-registered company, was put on display in two prestigious galleries owned by the Nahmads. When the Stettiner family — aided by Canadian art investigator James Palmer — sued the Nahmads in New York court, the Nahmads said that while the painting had hung in the family's galleries, it was owned by the Panamanian company the International Art Center (IAC). But the joint investigation into the Panama Papers revealed that the Nahmads had long been behind the IAC and that, according to documents in 2014, David Nahmad was the "sole shareholder." The Nahmads have challenged the Stettiner family claim that they ever owned Seated Man with a Cane. But Palmer — the head of Mondex Corporation, which specializes in tracking down art looted by the Nazis — says the Stettiners have a strong case. Palmer informed Philippe Maestracci, Oscar Stettiner's only grandchild, about the seizure Monday afternoon. "We're ecstatic with the news that the painting has now been seized by the Swiss authorities," he told the fifth estate in a phone interview from London. "We're now several steps closer to resolving the matter and finally enjoying the justice that Mr. Stettiner's family has been seeking for several decades," he said. Richard Golub, the New York lawyer for the Nahmads, did not return a request for comment but had earlier dismissed the fifth estate's revelations about the Nahmads and the IAC. 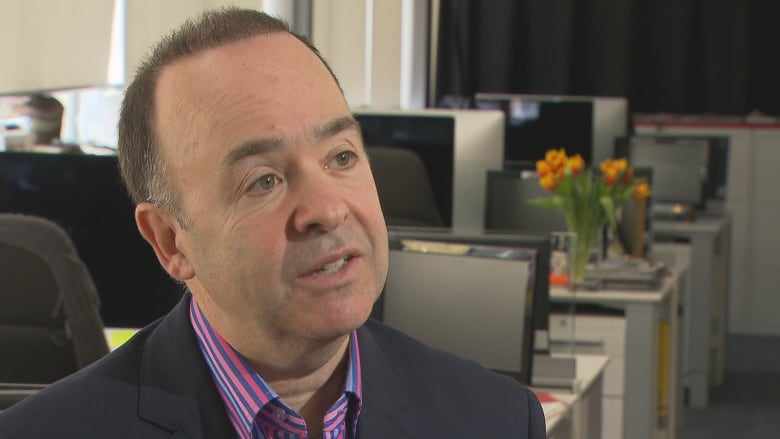 "Who owns IAC is about as relevant to this as, you know, who's living on Pluto," he said.